Our recipe section of the Digital Sentinel is looking a bit bare…almost like an empty fridge! We are calling out to all the foodies out there to share your tried and tested recipes with us. We know everyone likes a good food picture and now we are going to share how to make some of those yummy dishes. Melt 2 tablespoons of margarine in a saucepan, add 2 tablespoons of plain flour and mix to smooth constituency, slowly add in 600 mls of milk, stirring continuously until you get a smooth sauce. Then add in a cup of grated cheese along with some stock from the cooked veg and mix until melted. Remove from heat. 9 – Take a photo of the end result (this bit is not entirely necessary but you could send it in to us) and ENJOY!! 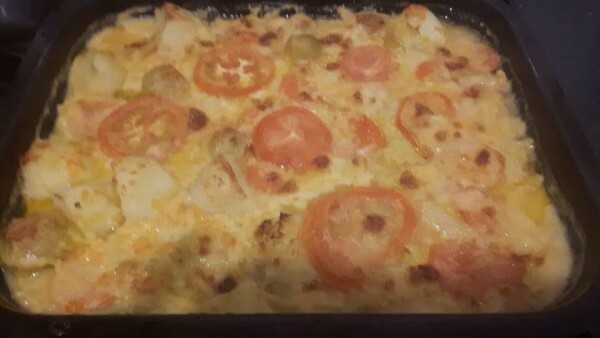 Recipe and picture submitted by David Jacobs.